But only Dassault designs seem to have their brakes set into the upper surface of the wings so maybe it only applied to them? I thought the Vulcan had airbrakes above and below the wings. I meant on French aircraft, sorry. If that's the Frog/Novo kit, I'm taking up needlepoint. No-one else ever made an FD2 kit. Make sure you show us your colourful embroidery on here, won't you? Maintrack did a BAC221, Kit. But yes, evidence of embroidery is necessary! 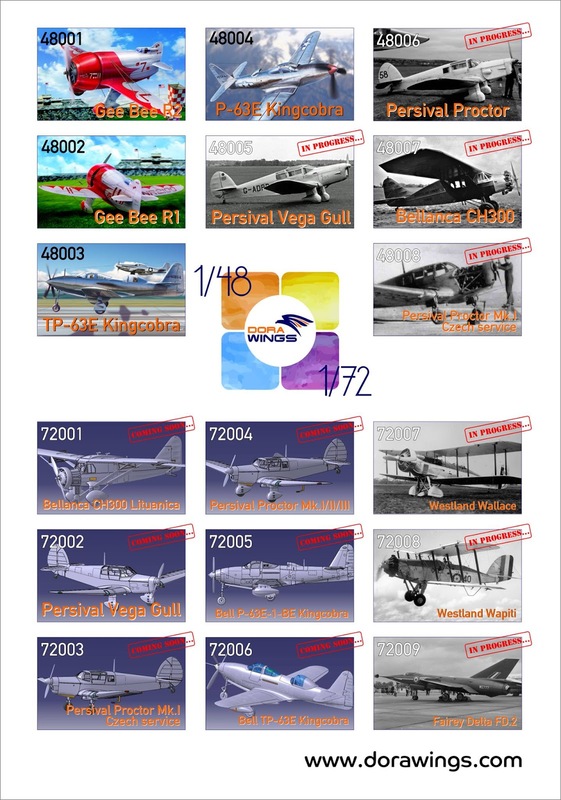 A new kit from Dora Wings is supposedly going to be released this year. Indeed they did, and I have one in The Loft. A very good looking aircraft for sure. Thank you all for the kind words, I am pleased and humbled that it has been received so well. L'Heretique is indeed a FROG/Frogspawn kit, which is actually quite nice and builds easily given its age. I recommend it to everyone as an overlooked gem, not something to be feared. Accept from square one that there is no point working up a cockpit interior ; "black hole" the lot and move along. I smash-moulded a new windscreen, as my original was a 2mm thick lump of amber. The kit main wheels are dreadful; Me-163 schlepper wheels are identical in size and both Academy and Heller kits have great hub details. Nose wheels should also get a swap, mine are UFO from the spares bin. The main challenge is smoothing out areas of shrinkage in the thick wings. My kit had four or five sessions of PSR before it was smooth enough for metal paint. Very nice. I'm in the same boat as the rest of the gang....great job on that old kit !